This Coaching Wheel, or Wheel of Life, is a useful tool to assess where you are, and where you would like to be. It is easy to put your goals on hold, but hiring a coach keeps you on track and properly supported, and helps you reach your goals much more quickly! 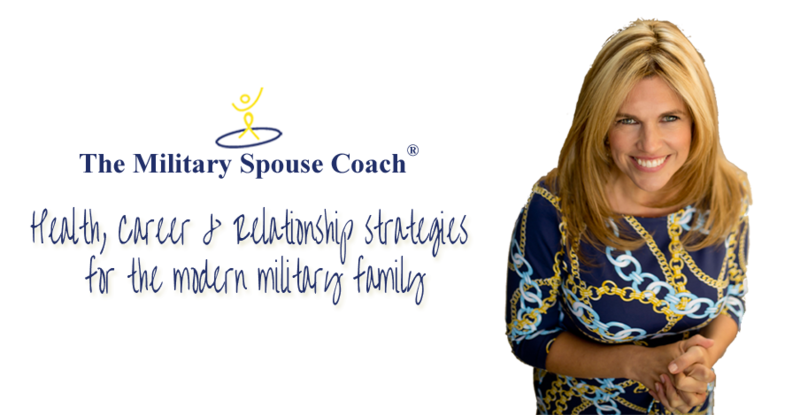 Chances are that if you are a military spouse, you will feel more comfortable working with me because I am also a military spouse, but the nice thing is that I am not affiliated with the armed services, so our conversations remain 100% confidential. I want you to live the life you imagined in every aspect. So please call me or email me your personal story and we can discuss how personal coaching can make a big difference in your personal and professional life. I offer a free 45-minute session to clients who have completed this life wheel and would like to debrief it as a first step to hiring me as their personal coach. by Judith Wurtman Ph.D. and Nina T. Frusztajer M.D. The Happiness Project: Or, Why I Spent a Year Trying to Sing in the Morning, Clean My Closets, Fight Right, Read Aristotle, and Generally Have More Fun, Revised ed.